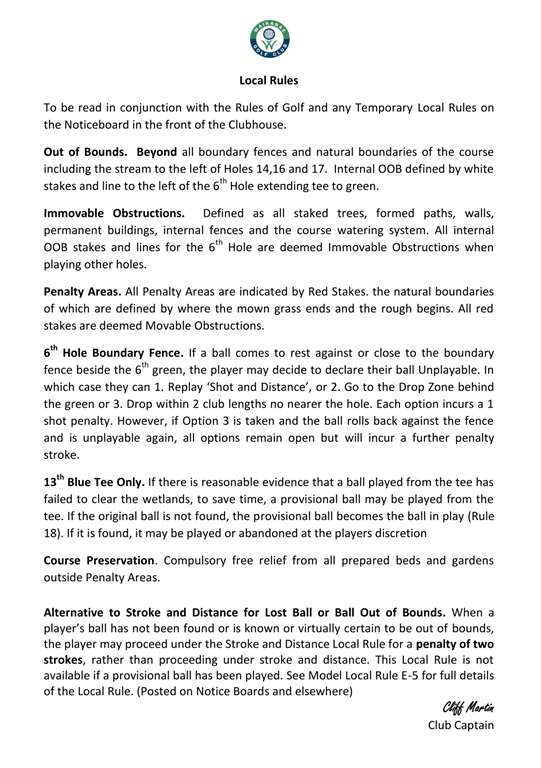 Download a copy (pdf) Local Rules 2019 or get a copy from The Golf Shop. When we exhaust our current supply of scorecards, the new Local rules will be printed upon them. Don't forget to check the noticeboard, under the walkway, for any temporary local rules that may apply.